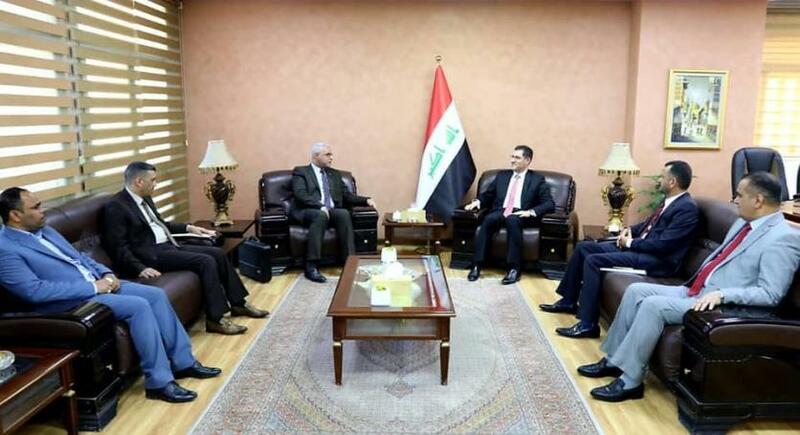 The Minister of Planning, Dr. Nouri Sabah al-Dulaimi, received on Tuesday, a number of members of the Iraqi Council of Representatives on the governorates of Baghdad, Karbala, Wassit and Diwaniyah. The meeting discussed investment and services, ways of developing them, Of which. Dr. Nouri al-Dulaimi stressed during the meeting the government's intention to resume all the stalled projects, especially the advanced completion rates, pointing out that the ministry is working on developing a strategy that adopts the demographic dimension within the development plan in order to achieve the desired balance between the steady population increases and the available economic resources. Providing the best services to citizens. For their part, MPs expressed their confidence in the vision of the Ministry of Planning and its strategy to promote the development reality, achieve partnership with the private sector and give spatial development in the provinces sufficient attention. He stressed the keenness of the legislative authority to provide support and suitable working conditions to the concerned parties in the executive capacity.